This is our third in a series of blogs on Beyond the Whiteboard, the system we use at CrossFit 1864 to log workouts, identify strengths and weaknesses and track progress. Our first post looked at the Fitness Levels in general, and our second post was focused on how to accurately log your results. Today, we will focus on how you increase your fitness level. Beyond the Whiteboard's “Fitness Level” and “Weaknesses” features (in the anaylsis section) are designed to give you more information about your workouts and your present physical capacity. Everyone has their “Fitness Level” calculated which is represented as a number from 1-99. This number captures how your performance stacks up to the rest of the Beyond the Whiteboard community, worldwide. "On average, it takes 19 Months to improve from a level 50 to a level 80." 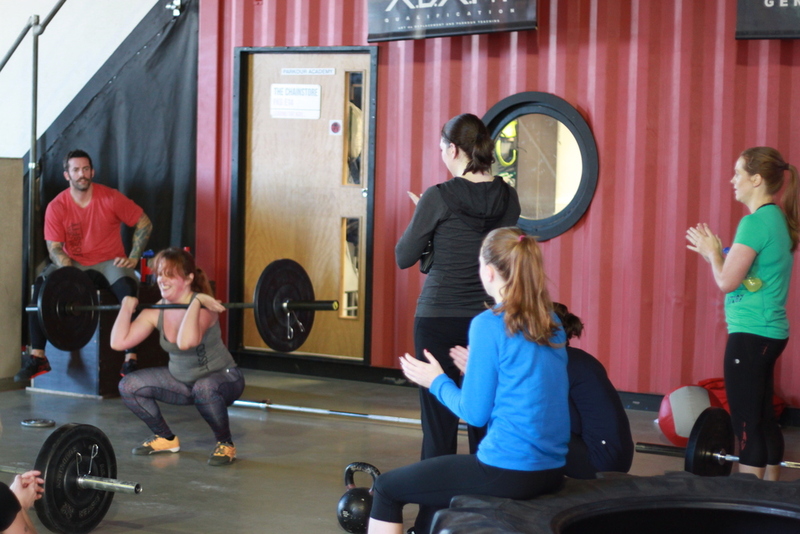 New & Intermediate level CrossFitters can improve their fitness levels very quickly. The folks at Beyond the Whiteboard have found that If you’re currently between 1-60 and you stay committed and consistent in your training then you can increase your Fitness Level by up to 20 points per year. "This rate holds true until you get to Level 80. Going from level 80 to 90 can take over 8 months, on average, which is 45% longer than it takes to go from 70 to 80." Advanced CrossFitters have a tougher time (sigh)... on average it takes these guys about 5-6 months to improve their Fitness Level by 10 points. To make Regionals, you need to be near a level 90, and top level CrossFit Games athletes will be around level 95! The difference between one or two levels at the top is huge and a single point progression can be a result of months of hard work. If you are new to using Beyond the Whiteboard you will find that your Fitness Level jumps up and down as you add information to each of the eight different categories: Power lifts, Olympic Lifts, Speed , Endurance, Bodyweight, Light, Heavy and Long. For a more comprehensive explanation of Fitness Level Workouts check out this blog post available on Beyond the Whiteboard. You can also view all 288 Fitness Level Workouts by going to “Explore > Workouts” on Beyond the Whiteboard, clicking the “Fitness Level” filter, and selecting “All”. From there you can easily log any of these workouts when you complete them. My drop off between September and November came as I tried to fill out some of the categories I had no results for. It was a little depressing at the time, but it gave me a new drive and some weaknesses to work on. WORKOUT OF THE DAY with COACH TOM!